Annapolis! Charming two-story Colonial in an idealic setting. Lovingly cared for. Great floor plan features three large bedrooms, 2.5 baths and a cozy den/library with bookcases and built-ins. Lovely separate dining room for gracious entertaining. Family room w/ fireplace overlooking a landscaped back yard w/patio & fish pond. This is a sought-after "over 55" community. 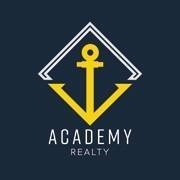 I am interested in 908 Boom Way, Annapolis, MD 21401.